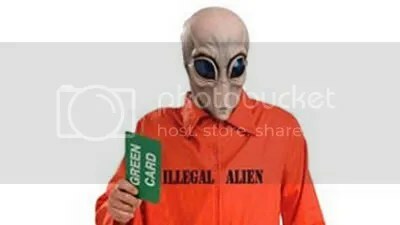 Local retailers continue to stock the costume that also comes with a ”green” card — which technically makes the alien legal. ”That the creature was holding a green card was a stab at a (broader) community,” he said, because it suggests even with a legal document, immigrants are still scary criminals. 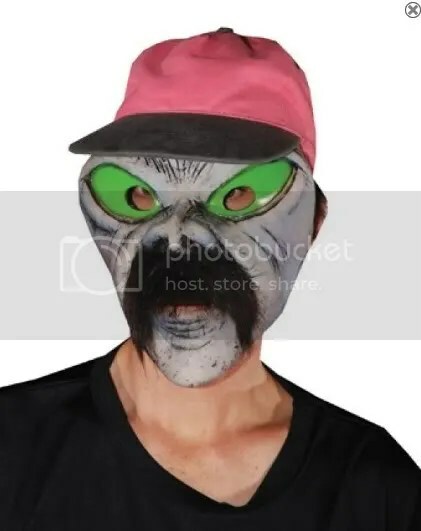 Another illegal alien mask recently on the market sported a baseball cap and a black mustache. 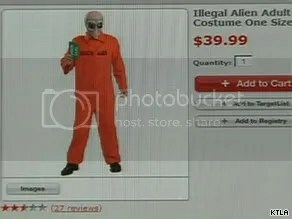 ”More than likely we will not sell it next year as we have learned that rubber masks do not make a good medium for social commentary.” But William Gheen, head of the North Carolina-based political action committee Americans for Legal Immigration, said efforts to get stores not to sell the costume amounted to an attack on freedom of speech. He urged Americans to buy the costumes in protest.